In general on this blog, I try to review things that people haven’t heard much about, that don’t have many independent reviews, because I feel like my review is more helpful that way in helping people to decide which products they want to purchase. But today, I’m reviewing a product that already has a big following and a ton of rave reviews, the cult classic kbeauty product, Klairs Supple Preparation Toner. And as much as I wish I had a completely unique point of view on this product, I must grudgingly admit that much like most of the reviews out there, I really liked the Klairs toner. I was generously sent this toner to review for free by Wishtrend. There’s a lot to love in this ingredient list. 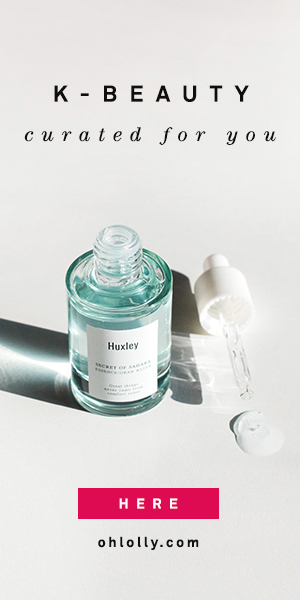 Deeply hydrating sodium hyaluronate, soothing centella extract, and brightening licorice root extract, vitamins C and E, as well as a host of other skin conditioning extracts. This toner is full of pretty much all the ingredients I look for in skincare products, and it’s amazing they all work together in this formula as well as they do! There are some potentially irritating oils near the end of the list, such as citrus and lavender oils which can bother some people, and be aware if there are any other ingredients that you’re sensitive to. The Klairs Supple Preparation Facial Toner is a clear liquid that’s contained in a brown plastic apothecary style bottle (you know how I love my apothecary!). It is actually quite viscous, almost like a serum rather than a toner. It is slightly thicker than either the Pyunkang Yul Essence Toner or the Hada Labo Gokujyun Lotion. It’s thick enough, and moisturizing enough, that I really think of this as more of an essence than a straight toner. The Klairs toner has an herbal scent that is quite pleasant and not too strong. It’s sometimes not quite what I want to smell first thing in the morning, but really, no complaints in the fragrance department. Where this toner shines for me is in the absorption and hydration. Despite being alcohol-free, this toner absorbs beautifully, soaking deeply into my skin as I pat it in. It doesn’t absorb lightning fast, but it absorbs almost completely, leaving my skin plumped and hydrated but with no stickiness or residue. My skin feels noticeably softer and more hydrated when I use the Klairs Supple Preparation Toner, and I even use it as a lotion mask on my forehead to plump up any fine lines there (I just soak some cotton pads and stick them on my forehead). One thing to note is that I DO need to seal the toner in with a thicker cream or occlusive oil. While it absorbs and hydrates remarkably well, it doesn’t KEEP the moisture in, so I definitely need to add layers on top to prevent the hydration from evaporating. I find this toner incredibly soothing, although with the many extracts in it, I can see some people having a sensitivity to something in the ingredient list. For me though, I’ve had no irritation and this is one of the toners I reach for if my skin is feeling extra dehydrated or over-exfoliated. I find myself recommending the Klairs Supple Preparation Toner over and over when people ask me what hydrating toner I suggest. That in itself speaks volumes. You can almost use this as your sole toner/essence/serum step, it’s THAT hydrating, and just apply cream over top. On top of that, the price is really affordable (about $20), and I really think that, short of potentially reacting to some of the extracts, this would make the list of my best buys. This page contains affiliate links. Purchasing through an affiliate link generates a small commission which supports this blog. This sounds amazing – it’s been on my wishlist for ages, I might have to try that promo of the mini size! It’s really a solid product! I hope you get to try it! I do think it feels thicker when you first pour it out, but I agree, the Klairs is far less sticky and absorbs better than the Hada Labo! This is definitely in my list to purchase! And talking about Hada Labo Lotion, gosh, I used to love it so much and really need to repurchase! The Hada Labo lotion pretty much saved my skin when I first got into Asian skincare. I still have a super soft spot for it! How does it compare to Pyunkang Yul Essence Toner? It absorbs a little better than the Pyunkang Yul, I think. I feel like when I put multiple layers of the Klairs on, they all absorb rather than sitting on top of my skin, so I think the Klairs works better for layering. The Pyunkang Yul might work better for sensitive skin though, as it has a super short ingredient list. Is butylene glycol not an alcohol? Ah when I refer to this toner being alcohol free, I mean that it doesn’t have simple drying alcohols in it like ethanol or denatured alcohol. Some alcohols are moisturizing, like butylene glycol.